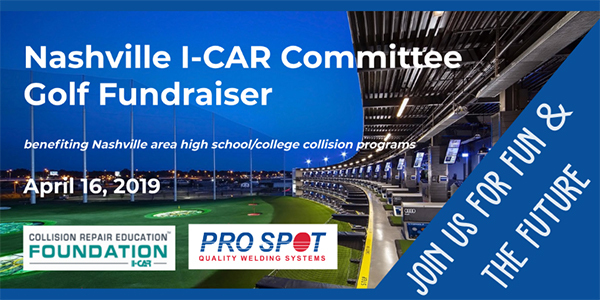 Pro Spot has announced it will be helping sponsor the upcoming Annual Golf Fundraiser at Topgolf Nashville, hosted by the Nashville I-CAR Committee on Tuesday, April 16. Money raised at the fundraiser will be donated to support collision school programs in the greater Nashville area. Pro Spot has been a strong supporter of collision repair education programs for many years.